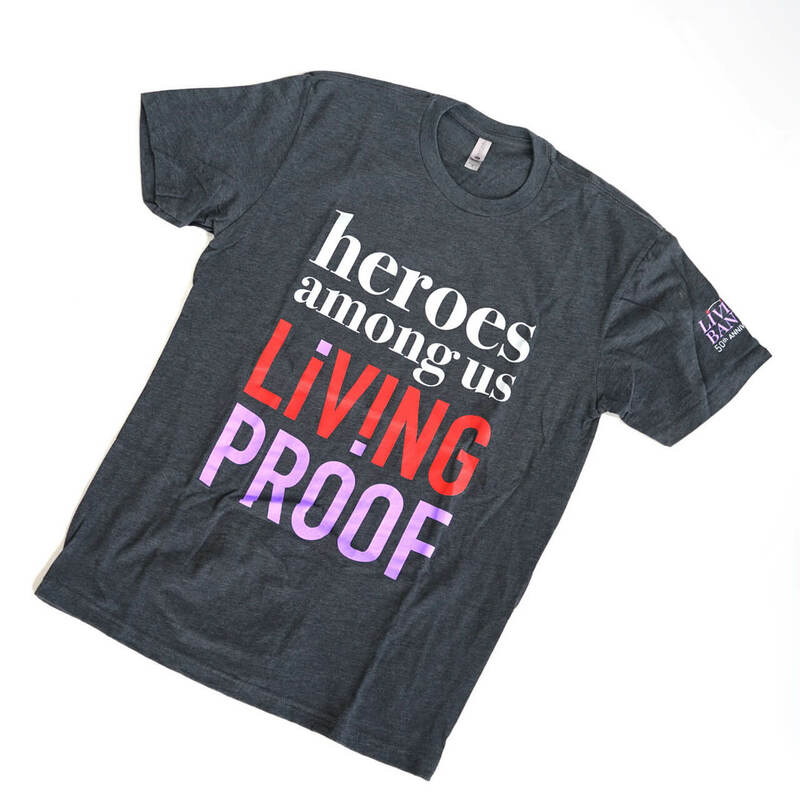 Our Heroes Among Us: Living Proof t-shirt is an effective way to show others that you, or someone you know, is living proof that living organ donation is a life-saving choice. 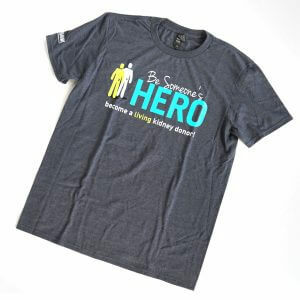 This softstyle tee comes in both men’s and women’s size. 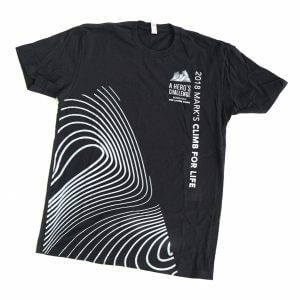 The left sleeve features The Living Bank’s 50th Anniversary logo. Availability will vary depending on size. 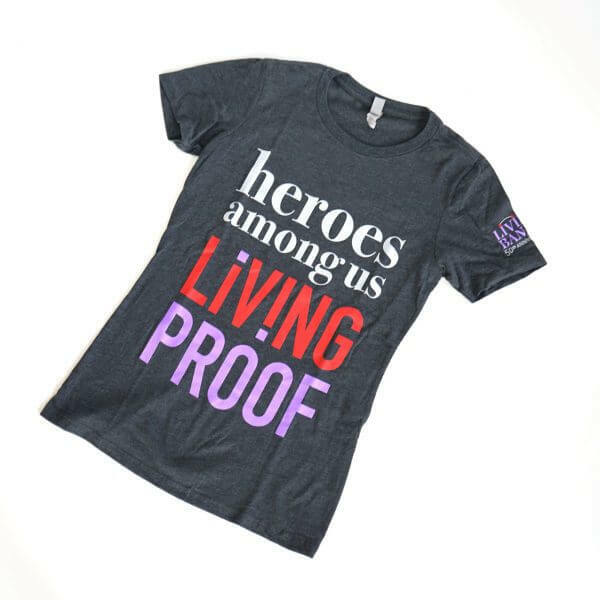 If requested size is not available tee shirt will be upsized.